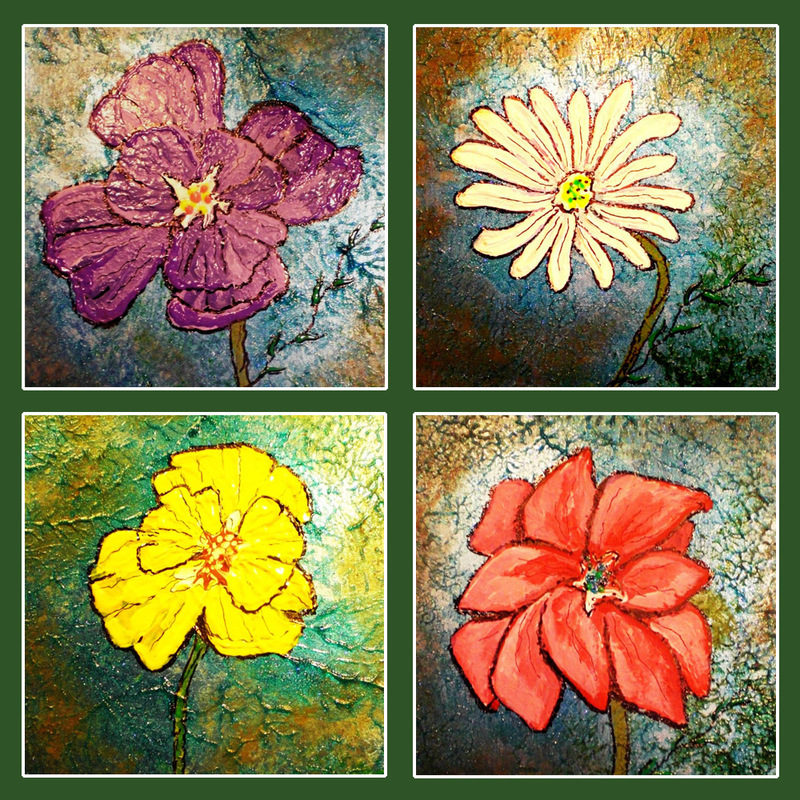 These unique custom hand painted themed tiles are designed with alcohol inks, dimensional paints and thick gesso.These make great gifts for any occasion. Designs come ready to hang or can be incorporated into a backsplash. 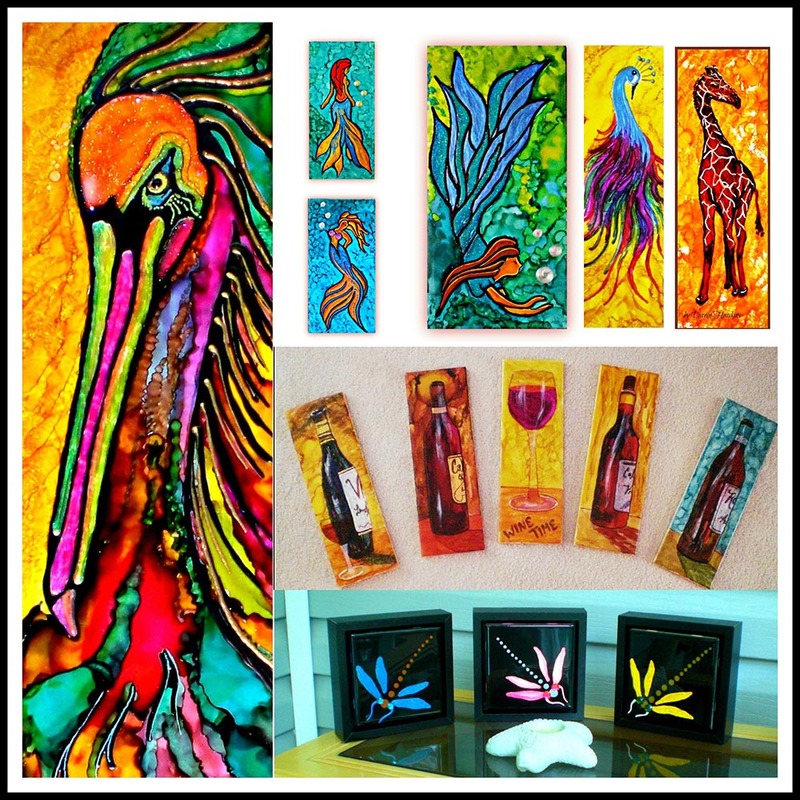 These hand painted designs are carefully designed with alcohol inks, the inks are stunning with bright, bold colors that dry with a high gloss finish, these pieces are truly unique and one of a kind designs. 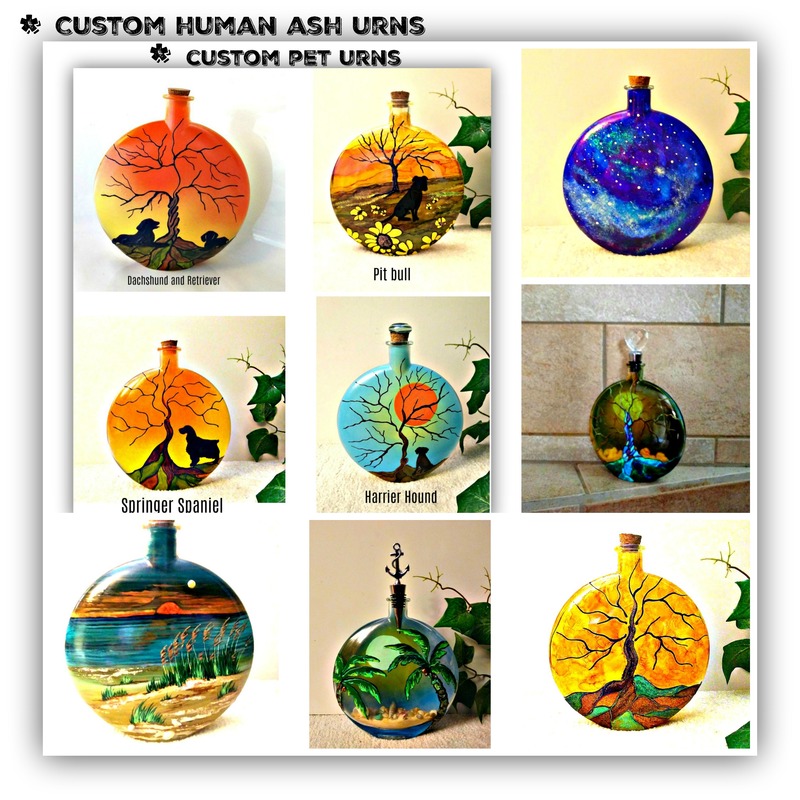 These designs are big sellers for urns for a loved one. 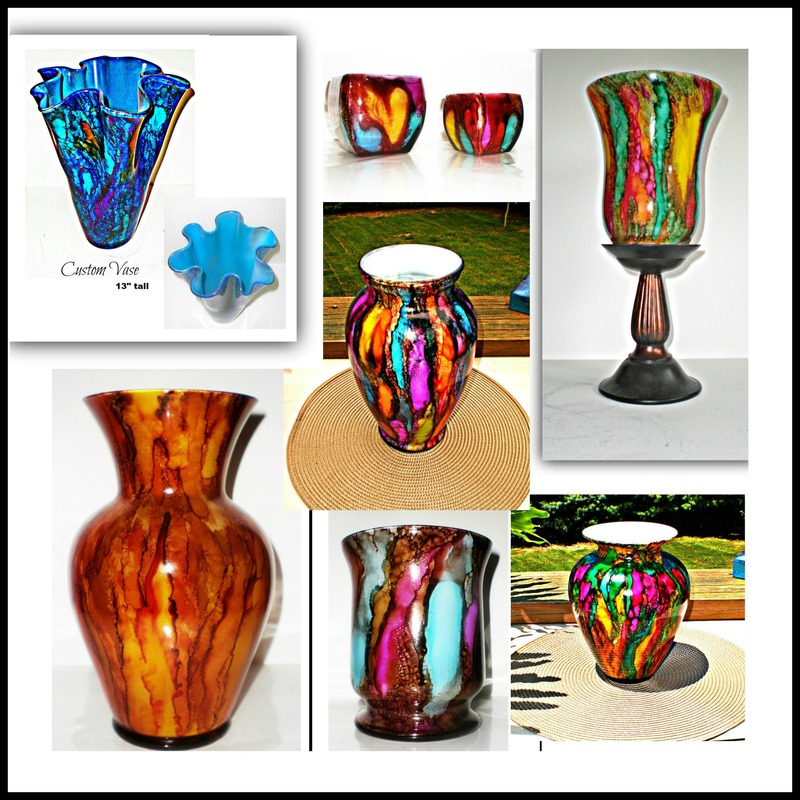 Also are used for home decor, aroma therapy bottles and centerpieces. Popular designs include, Tree of life, mermaids, roosters, dragonflies, anchors, flowers, and peacocks. Each come with a decorative topper of your choice. These unique flowers are hand painted with acrylic and dimensional paints with texture and glitter added to the back ground. 8×10 pine wood 1/2″ deep, sides and back are painted brown all ready to hang. While these original pieces have all been sold, they can still be ordered as prints or by commission. Prints come in 8×10, 12×18, 16×20, and 20×24. 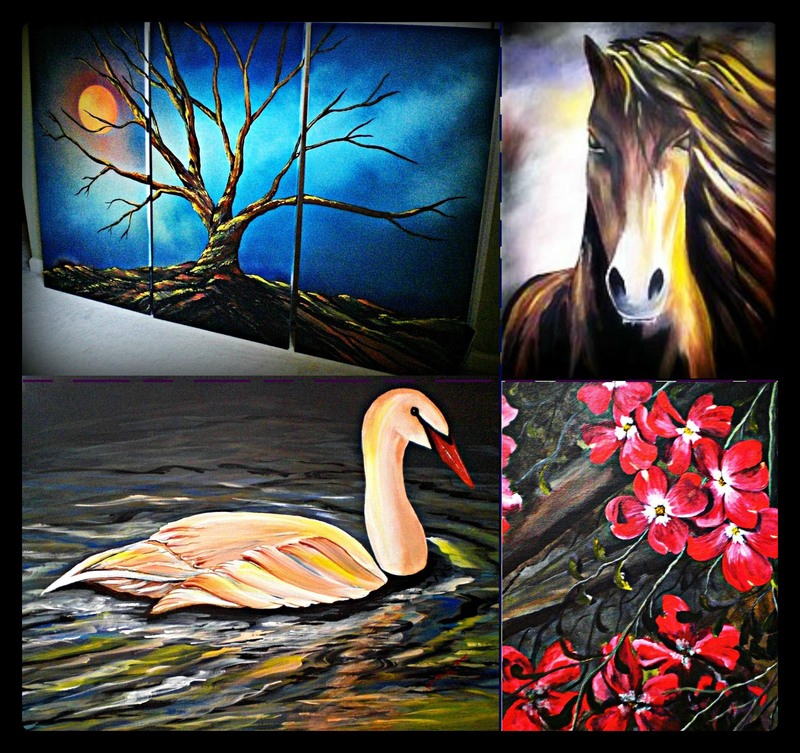 Canvas paintings come in 8×10, 12×16, 16×20, 12×18, 20×24, 24×24, 24×36, and 36×48. 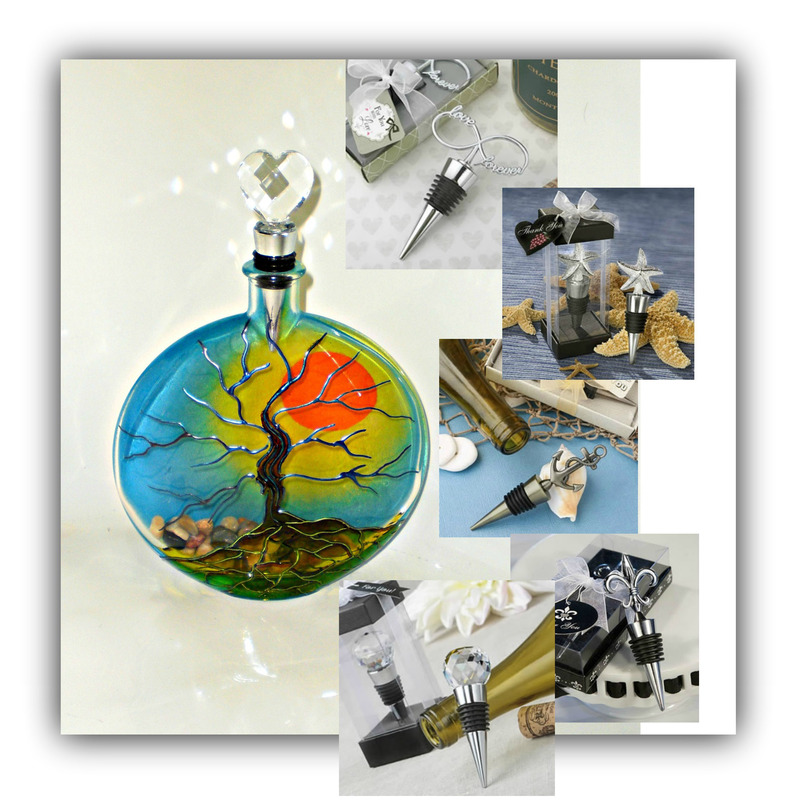 These unique metal designs are carefully hand painted with alcohol inks and dimensional paints and layers are added to achieve the final result. This unique process gives you a one of a kind design that is amazing! each design has a special glow in the dark additive that allows these designs to glow in the dark up to 10 hours!! Transform any space with a uniquely designed mural. 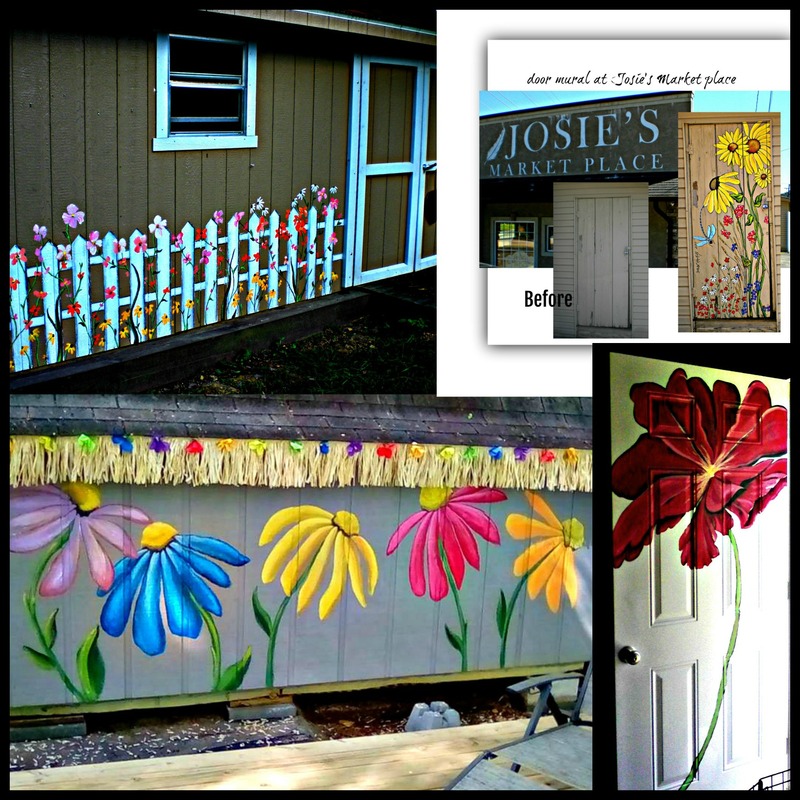 All murals are painted with acrylic and are priced by the square foot. 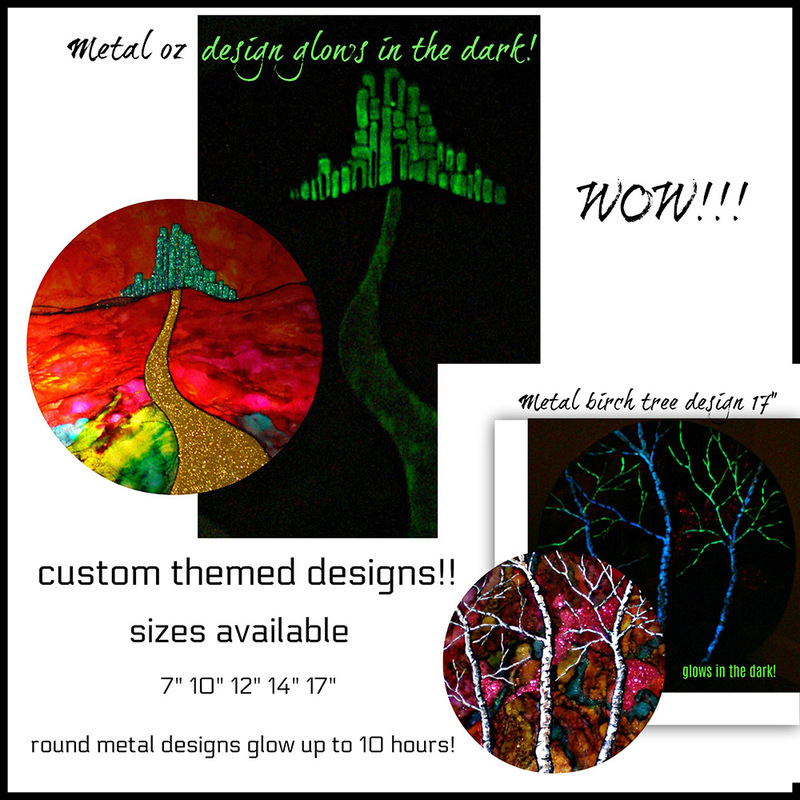 These unique metal designs are truly stunning, each one is carefully hand painted with alcohol inks and dimensional paints, with each design you get a unique and one of a kind piece. 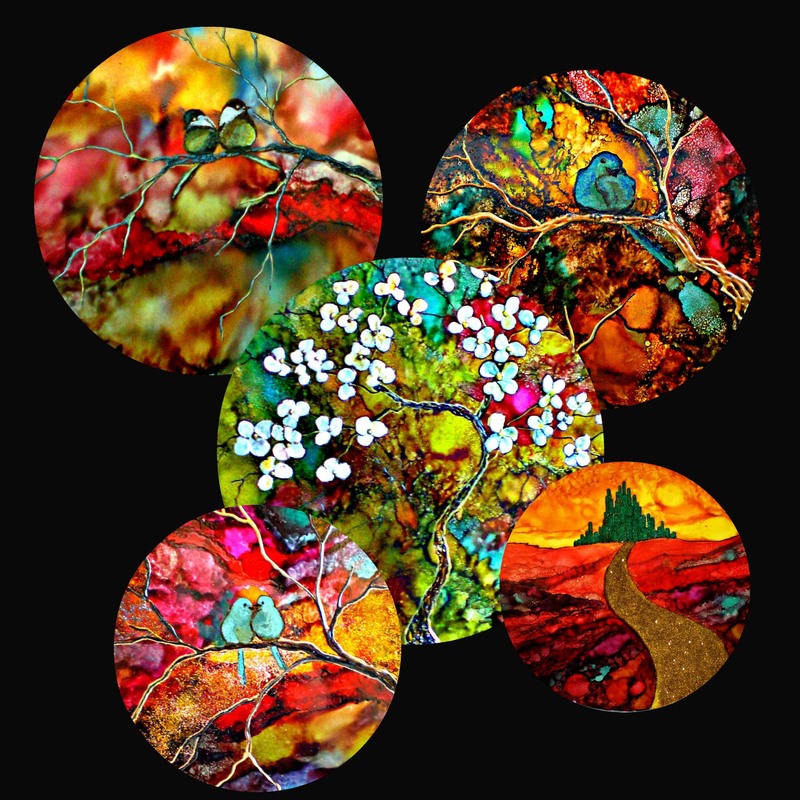 These designs are available in the following sizes, rectangle 12×16, round 17″, 14″, 12″, 10″, 7″, all can be mounted on the wall, round designs can also be displayed on a plate holder. Custom designs welcomed.